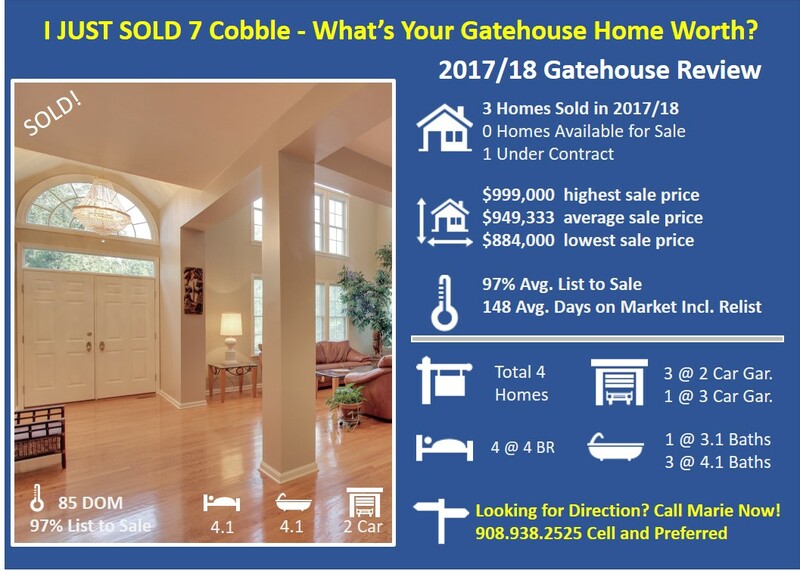 Welcome to 7 Cobble Lane, Gatehouse, The HIlls, Basking Ridge, NJ - THINKING OF MOVING? THINK YOUNG! Welcome to Cobble Lane, an exceptional 4 BR 4.1 Bath colonial in the sought after Gatehouse Community. This home exudes both style and charm as exhibited by the open yet defined floor plan, with a two-story sun-drenched living room and an architectural design that will wow the most discerning eye. The Wexford model is among the most popular, offering a first floor guest suite, second level master suite with custom double closet system, plus two additional bedrooms and bath. Gatehouse II residents enjoy Hills amenities such as the pool, walking and jogging paths, clubhouse, tennis courts, and Mt. Prospect Elementary School.